We understand that for many, going to the dentist can be a nerve wrecking experience. That’s why Dr. Emory Young, Dr. Collyer Young, and staff keep the patient’s needs in mind during every procedure. We offer gentle, yet thorough services for your whole family. Click on the Services tab to see how we can help you improve your dental health! 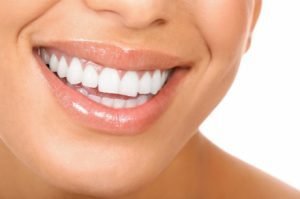 Professional teeth cleanings are essential to your dental health. It is the only way to remove harmful plaque and tartar build up that your toothbrush cannot. Regular teeth cleanings and exams prevent damage to your teeth and gums. Periodontal, or gum disease is a common, but serious condition that affects up to 90% of our population! Gum disease has been linked to other heath ailments such as heart disease, diabetes, and oral cancer. Visiting a dentist in Hawaii is the best way to prevent this disease. Dr. Emory and Dr. Collyer Young recommend 2 teeth cleanings and exams annually as your first line of defense against such problems. In addition to preventative dentistry, Drs. Emory and Collyer Young are also highly skilled in restorative dentistry such as fillings, crowns, dentures, and dental implants. Being a dentist in Hawaii, we take pride in treating our patients like family. Your comfort and health is our top priority. Drs. Emory and Collyer Young and their team strive for excellence by making every office visit pleasant and constructive. Dental health is an extremely important part of your entire wellbeing. Not only will we care for your dental needs while you are in our office, we will also teach you how to maintain your beautiful smile throughout the year. So give us a call today to schedule an appointment! We are currently accepting new patients of all ages.